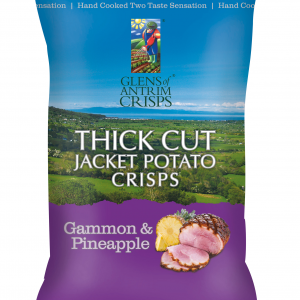 Glens of Antrim Crisps - Deliciously Moreish! Our adventure started in October 2015, when we set off on a journey with one distinct idea in mind, to search far and wide to discover the finest sweet potatoes the world has to offer! 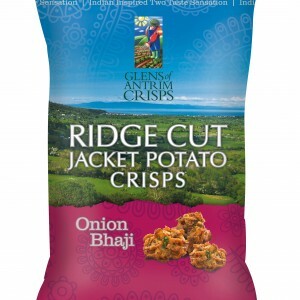 With the success of our Sweet Potato Crisps, we decided to create a new range of Thick Cut Jacket Potato Crisps in similar bold, punchy flavours! 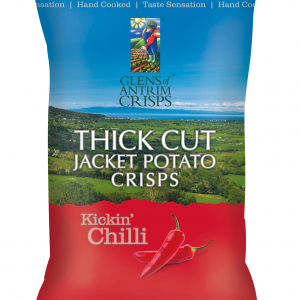 …Keep your eyes peeled for our new range of crisps! 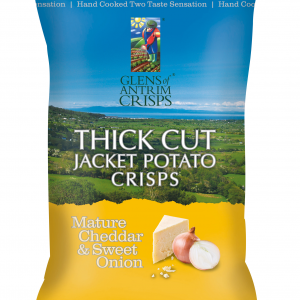 In 1972 Glens of Antrim Potatoes was established in the heart of the Glens. Our passion started from field to fork, growing potatoes for grocery multiples across Ireland. As a family we are renowned for our quality and determination in continually striving for innovative ideas in the potato world. 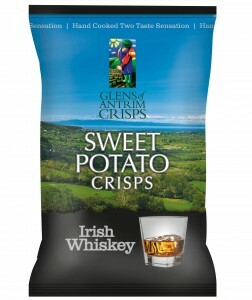 This has lead to the creation of Glens of Antrim Crisps! Our DELICIOUSLY MOREISH Crisps are now available to buy online! 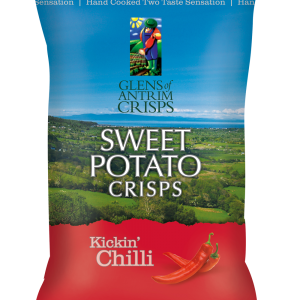 Our bold, punchy, two-taste sensation Sweet Potato Crisps are now available to buy online! Click ’em. Buy ’em. Eat ’em. 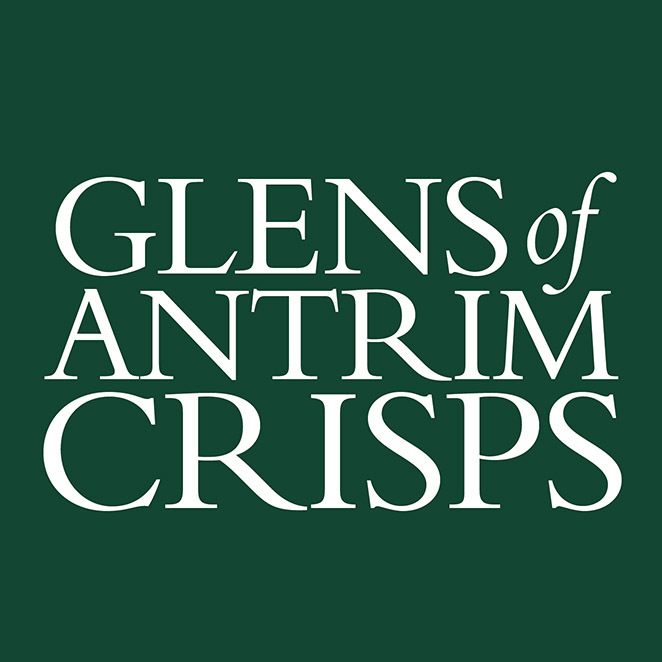 In 1972 Glens of Antrim Potatoes was established in the heart of the Glens. Our passion started from field to fork, growing potatoes for grocery multiples across Ireland. As a family we are renowned for our quality and determination in continually striving for innovative ideas in the potato world. The answer, simply, something different! Sweet Potatoes need a warm climate with perfect, deep and fertile soil, something Ireland simply lacks. In search of our mighty sweet potatoes, we watched the attentive harvesting of these scrumptious root vegetables ensuring the best quality for our Sweet Potato Crisps, creating deliciously moreish crunchy crisps. 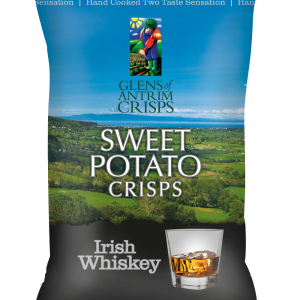 Our Sweet Potato Crisp flavours were inspired after many long hours spent in a flavouring house with tasting experts, however, as many people know, us Irish folks like to think of ourselves as food connoisseurs who love punchy, bold flavours. Letting our taste buds lead the way we developed fabulous flavours in our crisp range, hand-cooked in their skins to create our signature Two Taste Sensation. 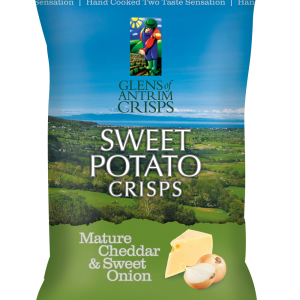 We LOVE our Sweet Potato Crisps so much we couldn’t stop there- similar bold, punchy flavours sprinkled on Thick Cut Jacket Potato Crisps AND Ridge Cut Jacket Potato Crisps… WOW! …Keep your eyes peeled for our new range of crisps, available now! Psst! Your gonna LOVE our new flavours! 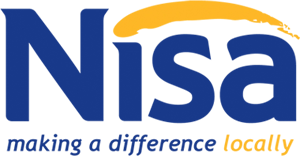 Get involved and become a stockist for our products. 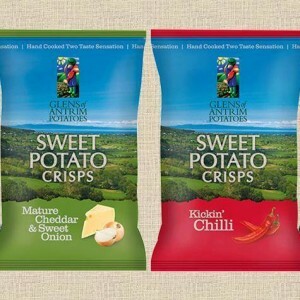 Fancy being a STOCKIST for our deliciously morish range of Sweet Potato and Thick Cut Jacket Potato Crisps?